Hi there! For those of you who don’t know me I’m Stacie, nice to meet you! When Emily approached me to write a piece for her Love Story series, I’m not going to lie I was a bit apprehensive. For someone who loves love and every Norah Ephron film ever made, I have a very hard time showing my affections or sharing my feelings, even to those closest to me. On the flip side, I am also a firm believer in showing the people you love just how much they mean to you because you never know how much time you’ll have with them. Just a little back story of me. I was never really one to have crushes on real people in my life. Sure I obsessed over JTT and Nick Carter like most 90s girls, but I was never inclined to want guy friends, let alone a boyfriend. It probably didn’t help that I was a super shy kid (still am until this day), but I just never thought it was worth my time or effort because I knew boys were trouble, and let’s be honest a little too immature for the old soul that I am. Flash forward to university and this boy walks into my life. We were both studying in the same program, and didn’t actually start talking until second year. For the longest time, we only ever spoke via Facebook until the wee hours of the night. I’ve never actually said this to anyone, but I knew I was falling hard. I think I brushed it off to everyone like it was no big deal and that nothing was going on, but deep down I knew. It was the first time I was ever able to be my truest self. It was weird and very much uncharted territory. I was 19 at this point, never having had a boyfriend before or even a close guy friend. But, there was just something different about this guy, and I had a strange feeling he would be sticking around for a long time. After months of talking, he finally grew the cojones to ask me out on our first date. Let me remind it was my first date ever, with anybody! I think that was definitely one of the most nerve-wracking experiences of my life. I remember I bought a new blouse for the occasion and it’s still hanging in my closet ‘til this day. Even though it’s totally not my style, it just holds so much sentimental value that I can’t bare to part ways with it. We went for a nice dinner at Milestones, where everyone supposedly celebrates their milestones (including me). I remember we split a dessert. I had never shared food with anyone other than family before because I’m a bit of a germaphobe and unbeknownst to me so was he. But we both ate that cake up without a hiccup, and to this day I’m still the only person he shares food with. Also, let me just say we ended the evening with what could only be described as the most awkward kiss of the century! I mean in all fairness I hadn’t had much prior experience and we were both incredibly nervous. Looking back on it now it’s a pretty adorable story, but I remember at the time I was completely red in the face flustered thinking I just massively screwed it up. It’s been 7 years since that first date. Pretty much almost on the dot too! Saying yes to him by the bus stop on that very snowy and cold Ottawa day is still one of the best decisions I have ever made in my entire life. He’s my best friend and support system, constantly guiding me with his patience and strength. I absolutely have no clue what I would do without him. I love how he genuinely believes that I can do anything I set my mind to, and is always telling me to challenge myself. For being such a close guarded person, I’ve learned that sometimes you have to let people in to find your true self. He just completes me in every way, and I’m able to be my fully dorky and weird self around him without any apprehension or judgements. We’ve had so many great adventures together. We’ve travelled together. We got the keys to our first house. We’ve laughed together and cried together. We’ve seen each other at our best and at our worst. At the end of the day, we just know that as long as we have each other everything is somehow going to be okay. I just know that I have to love him as much as I can for as long as I can, and come autumn I’ll not only be able to just call him my best friend, but my husband. So to all those young girls out there feeling pressured to find a boyfriend when you don’t even know what you want out of life yet. Just relax. Your special one is out there and there’s no rush to grow up when it comes to finding the one you’ll be growing old with. Don’t worry your little weirdo is out there, I can attest to that too because I found mine when I wasn’t even looking. Hiya! 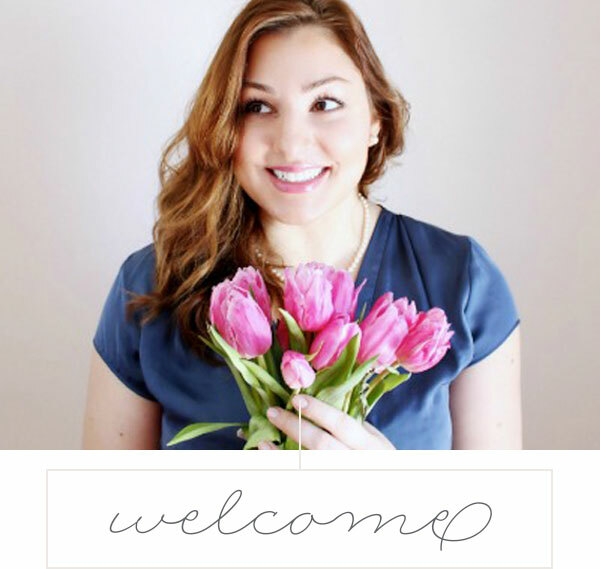 I’m an Ottawa based multimedia design and content creator with an eye for fashion and all things interior design. My goal is to spread love, to promote positivity, and to be as real as possible with every person I meet.